The Ethiopian opposition has yet to write an alternative agenda to that of the ruling party, but continues to cry about lack of democratic space. Whatever democratic space it got it did not dispense an alternative agenda instead it was and is to the day, used as an opportunity to de-legitimize the government. The anti-government movement masquerading as legal opposition and the war mongers in Diaspora are ever searching for an elusive common center, one trying to undo the government peacefully with Gene Sharp style movement; the other with armed struggle and the help of western nations. But, neither method would have been accommodated in the United States of America. They[oppositions] long for leadership so much so they borrow deserters forgetting EPRDF defeated the Derge NOT by self-aggrandizing leaders, but by humbled leadership and self-less fighters carrying the right principles. American strength is founded on the constitution, the rule of law and the ingenious of the Federal System that equalize all states and strives for a perfect union. Obama would not have made it if it was not for the caucus states that enabled the arithmetic to tip over large states. America has kept the anti-government movements in check and foreign influence at bay while expanding its democracy to be ever inclusive. The month of February has a special meaning to Ethiopians and in particular to Tigreans.Dedebit is the place where "shig harnet" (freedom light) got lit for the first time on February 11 1967. 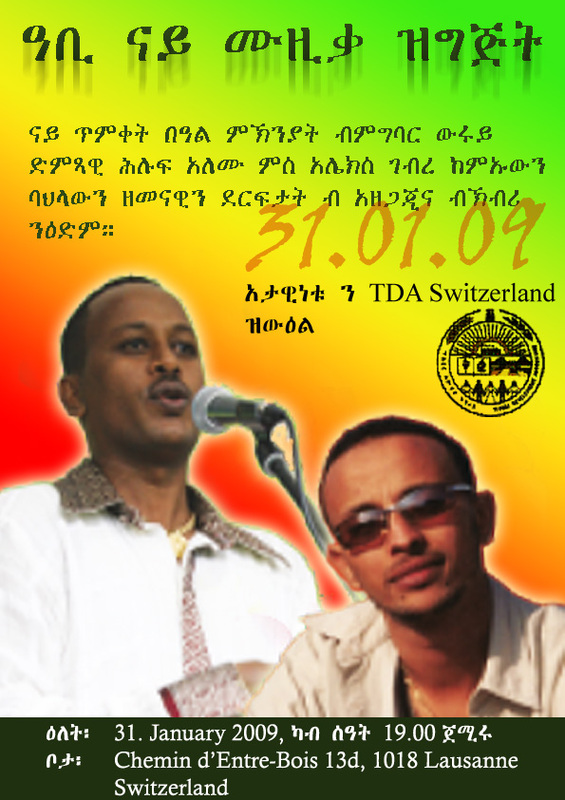 Like many other singers, Wedi Tikul, a known Eritrean signer, has this to say about Woyane and Dedebit with his soothing melody!. A Début of a book “Gual Tsehaye ab Acranat Sahel”, about the Tegadalit Tazeb Tsehaye, one of the unsung heroes that battled the Murderous Derge at Sahel Eritrea...a book the debunks the lies of Shabia and perversion of the history of TPLF-EPLF relation by Deserters that pledge allegiance to chauvinism and Anti-government movement that Masquerade as legal opposition. "I am not the kind of person who desert his country nor do I have a reason to do so.."
Yaregal Ayshehum, Commissioner of Co-operative Agency (former-president of Benishangul-Gumuz) responding to Shabia tabloid report that he has defected and joined the opposition camp earlier this month. If you know some one by the name Berhane Woldemariam an Eritrean from Gondar who migrated to the USA please contact dimtsiwoyane or us. Berhane’s missing child abducted more than 14 years ago is desperately looking for him. Response to MFA post in Aiga Forum, November 1, 2008: "The US Presidential election and anti-Ethiopian lobbying"